Defendant Jaci Rae Jackson was scheduled to be in McCurtain County court Monday, but a request from her attorney pushed it to December. 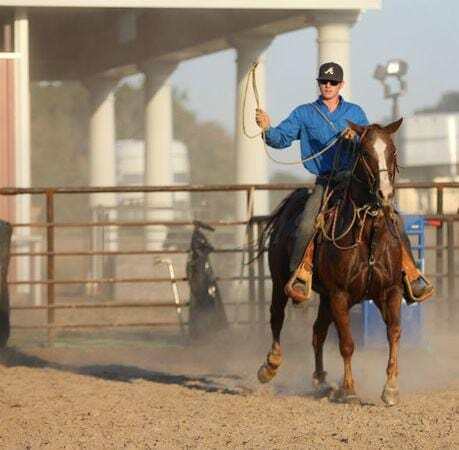 Jackson is the former Southern Arkansas University student who is accused of allegedly stealing five rodeo team horses. One of the horses named Credit Card was killed. She is charged with bringing stolen property into Oklahoma, knowingly concealing stolen property, and animal cruelty. Jackson also faces charges in Arkansas in the horse case. Her attorney filed a motion for a change of venue over the summer, however the court has not ruled. Jackson’s next hearing in Columbia County is scheduled for March 2013. Jackson’s mother is scheduled to be back in a Columbia County court on November 1. She faces two charges of theft of property over $25,000 and four charges of theft of property between $5,000 and $25,000. Court documents state Cox devised the scheme to steal the horses with her boyfriend William “Billy” Hamilton. Authorities say the plot was concocted to acquire money. Oklahoma has rescheduled Cox’s preliminary hearing several times. It is currently set for early December. She is charged with knowingly concealing stolen property and animal cruelty. Cox’s arson trial was scheduled for last month. According to the clerk of the court, the case has been halted until after the preliminary hearing in the stolen horse case. Hamilton, Cox’s boyfriend, remains behind bars in Arkansas. His next appearance is after the New Year in this case. A date for his extradition to Oklahoma has not been scheduled. Hamilton faces charges of animal cruelty, felon in possession of a firearm, bringing stolen property into the state, and knowingly concealing stolen property. Five SAU students’ rodeo horses were stolen in November 2011 along with a horse trailer and tack. Four of the horses were found two weeks later near Cox’s Oklahoma home. They were tied to trees without food or water, and left to die. Credit Card was killed. His remains were “quartered” and scattered. Stay with Rate My Horse PRO for the latest in these cases.